Keeping track of our assets has been a fundamental human activity since the beginning of time. Ever since the concept of ownership came into being, people have assigned intrinsic value to items and have needed to know their physical location so that they could be retrieved later. This has never been truer than when it comes to keeping track of commercial items, and is central to the practice of physical asset tracking and management. Businesses need to know where their physical goods are at all times whether for inventory management or protecting them from loss. And while technology makes the job much easier, it can still be an enormous challenge to know where your property is at all times, especially when it is constantly moving around. For that reason, an effective asset and inventory management plan may include having an asset and inventory tracking system designed to let businesses know exactly where their valuables are at any given time. Many businesses have a selection of physical assets they own that can move around and need to be tracked. We can divide these into two main categories. Inventory tracking generally refers to the tracking of goods that businesses never plan to see again, such as stores with items for sale. Since these items are in their inventory for a limited amount of time, they only need to be tracked over a relatively short period. For example, a store will want to track their goods through the supply chain and while they’re in stock; but once an item is sold, it is no longer of concern. Tools: Any physical item a person uses to do their job. This can be anything from construction equipment to medical equipment to laptops. Returnable packaging: Any container that you get back from your customers such as gas cylinders, chemical totes, beer kegs, bins and racks. These goods move around all the time through various chains of custody, and their owners want to ensure that they are not lost or stolen so that they can be reused. Both categories of assets have unique challenges associated with their management. A key distinction is that inventory management frequently deals with large numbers of one-way interchangeable items, while returnable asset tracking generally is concerned with assets that have their own maintenance histories and attributes. That’s why inventory control and returnable asset tracking are usually handled differently. How Tracked Tracked by part number and quantity because the items are all interchangeable Tracked by unique serial number or other tracking number for each asset. This impacts everything from receiving in new assets, to every activity performed on the assets to their eventual disposal. Prepare for next use Usually very little work is needed per item to prepare it for sale. Each asset typically requires an inspection, cleaning or filling step to prepare it for another use. Return process Returns are an exception and a problem Returns are normal and expected. Maintenance No maintenance is performed on the inventory items. Periodic maintenance is required on some assets. Records must be kept. The global market for this type of returnable packaging is growing, estimated by as much as 7% per year. And businesses that distribute returnable packaging to clients as part of a delivery – such as cylinders, kegs, totes, racks or other containers – also face the reality that in most cases the client doesn’t give any thought to these items. These assets usually represent a significant cost investment to you, but are just a bother to your customers. This makes asset management for these items significantly harder for you. In this article, we’ll focus on returnable asset tracking. We’ll examine the history, look at the various types of technology available, and help to give you a better understanding of how returnable asset tracking solutions can benefit your business. In the past, there was only one way to keep track of movable assets: pen and paper. Businesses would keep logbooks of their assets – establishing when something was signed out, into whose custody it was released, and when it could be expected back (if applicable). The advent of computers, of course, made physical asset tracking and management somewhat easier. But while spreadsheets and databases would initially replace paper ledgers, it still required a human to physically count the items and enter them into the system. Later, the introduction of Enterprise Resource Planning (ERP) software changed the game again, introducing a certain degree of automation into a business’ process of managing organizational resources. And while ERP software is extremely popular today as an asset management tool, with 81% of businesses currently in the process of implementing it, ERP has one significant drawback: it’s not very efficient at tracking individual items. Rather, this type of tool is ideally suited to tracking lots of goods, such as retail inventory intended to be sold. Scanning technology worked well with this type of ERP inventory control. 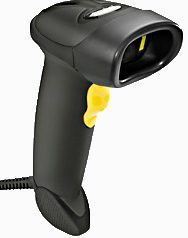 But these “dumb” scanners usually had to be physically connected to the computer, such as with point of sale terminals. They were initially just a faster way to interact with the ERP software, leaving a service gap for returnable assets. Everything changed again with mobile computing. Suddenly, powerful devices that could easily travel TO the assets dramatically improved the process. Rugged handheld devices – integrated computers with a laser scanner attached – made a large difference in tracking capability. These devices have their own memory, can work without an internet connection, and are quickly capable of tracking individual items. Now, today’s smartphones with their high-resolution cameras, are also proving to be another step change in the industry. Before only a few employees would get access to the expensive mobile computers. Now everyone can load a simple app onto a consumer smartphone and contribute to the tracking system. In the next section, we’ll take a closer look at the tracking technology available for returnable assets. It’s hard to look around these days and not see a barcode. The fact that this piece of passive technology – first used commercially in the 1970s – is still so ubiquitous today is a testament to its versatility. And they are an extremely useful staple in the world of returnable asset tracking. While the barcode itself is old technology, advances in portable scanning technology have only increased their value. Over 90+% of all people running asset tracking projects choose barcodes over other technology types. Low cost: Due to their inexpensive nature, barcodes offer by far the most value in terms of capability versus cost. They usually cost pennies apiece making them easy to deploy in bulk. This also makes them an attractive choice for tracking items whose lower value makes it not economically feasible to track via other methods A line of sight is required: With barcodes, you need to be able to directly scan them, which can sometimes be difficult if it is not easily accessible. Versatility: Unlike other tracking methods, barcodes can be scanned with different scanner types, meaning that you aren't necessarily tied to one type of technology. They can be read equally well by rugged handheld scanners or by smartphone cameras. They are in a sense the most 'future proof' of the technologies. Manual orientation required: They have to be attended to manually, with the scanner operator having to re-orient the device to match the positioning of the barcode. Ease of use: Need to track a large number of items? Simply peel the adhesive backing, affix, and repeat. They are ideal for attaching to virtually any type of asset in any environment. Low-quality barcodes: Not all barcodes are created equally. Some are of inferior quality, leading to a higher failure rate in terms of staying in place and being able to relay data. Fast: Today's scanners can read barcodes very quickly, allowing you to easily capture a lot of information in a shorter period of time. Remote scanning: With RFID you can capture information at a distance from the asset. This is ideal for situations where the item may not be easily accessible. As well, the operator doesn't have to re-orient the scanner for each item. Higher cost: RFID tags and chips are much more expensive than barcodes, making them unsuitable for use on less valuable assets. Scan multiple objects RFID allows you to scan multiple items at once, something not possible with barcodes. It can speed up the process of capturing data. Technology constraints: Unlike with barcodes, which can be scanned by lower-cost rugged handheld devices and smartphones, RFID requires the use of a limited range of devices that usually incur a greater expense. Greater flexibility When used in tandem with barcodes, RFID gives you greater choice in choosing which tracking method works best for you. Missed scanning: RFID can sometimes miss scanning signals, and you won't necessarily be aware that you have failed to capture the data. Barcodes, by contrast, require individual attention and a failed read is much more likely to be noticed. Radio interference: As RFID uses radio frequency, there is the potential for signal interference, which can disrupt the ability to capture information. This is especially true on metal assets. Scanning the wrong item If a user intends to scan the asset in front of him, it is possible to accidentally scan the RFID tag of the next asset over by mistake. The user can't tell that this happened. Therefore, the takeaway from RFID technology is that while it can be advantageous in terms of ease of scanning and use, it can be costly and not necessarily a worthwhile investment depending on the relative value of your assets. Active GPS tags are typically devices attached to an asset that send the location of the device to a remote server every so often. No human intervention is required to know where your assets are located. While many businesses are interested in the technology for their additional capabilities, due to their cost, they are usually only appropriate for tracking very high-value assets. However, they do have both advantages and disadvantages. Almost real-time location data: With active GPS tags in place, the location of your item can be tracked virtually in real time. This is very valuable when you want to know exactly where your asset is at all times. Cost: Active GPS tracking can be very costly, significantly more so than with barcodes or RFID. Expect to spend about $10 per asset per month for an active GPS tag and its associated services. Passive: There is no manual scanning involved with active GPS tracking. All the data is transmitted by the tracker directly to you. Less accurate when indoor: Most active GPS sensors will not work well indoors. They are better suited for outdoor use. Motion alerts: If you need to know if your asset has changed location, this type of tracking can be setup to alert you. Only gives location: While active GPS tags provide location data they will not give other relevant information about processes around an asset such as who signed for it and when the next maintenance is coming due. For this reason active GPS tags are best used to augment a full tracking system and not used as the only way to track the assets. Batteries require replacement: Since the tags are powered, the batteries need to be replaced occasionally. If a battery inadvertently dies, you may lose your tracking details. Removable: If someone is willing to steal an asset, they are probably also willing to damage or remove a active GPS tag. The sensors must usually be located in an exposed position on the asset (for both GPS reception and to change its batteries) making it easy to identify and then be destroyed or removed. There is another way to capture GPS locations for your assets. This is by capturing GPS coordinates from a mobile device every time you scan an asset. In this case the asset just has a barcode or RFID tag on it. The GPS sensor and it’s connectivity come from the mobile device and not the tag on the asset. Cost: There is no additional cost to this capability. It basically comes along for the ride with a modern mobile device. Only know the position when scanned: You only know the position of the asset the last time someone scanned it and not necessarily where it is right now. Simplicity: No activity is needed on your part to maintain this capability. Less accurate when indoor: The mobile device will be able to give some kind of a location when a scan happens, but it is always more accurate when outside. See where actions happened: You can see where a user scanned an asset. So for example you can see where anit was delivered and where it was picked up. 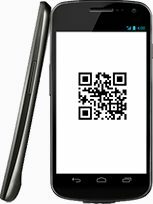 As we mentioned earlier, there are typically two types of hardware used for barcode scanning: rugged devices and smartphones. The device type you choose will depend on several factors. Can be intrinsically safe: Rugged handhelds can be made ‘intrinsically safe’ which is suitable for use around flammable liquids and gases. Generally preferred by the users of the devices. Some companies still use manual spreadsheets to track their assets. However, when you are dealing with managing hundreds, thousands or even millions of returnable assets, using a dedicated system such as TrackAbout can greatly simplify internal processes while maximizing your asset utilization. Let’s examine the benefits and challenges of using an asset tracking system. By better managing your assets, you can use fewer assets to support the same amount of business. assets from 50% to 100%"
"Cut your theft by 50% "
Having a tracking system lets everyone know that ‘someone is watching’ and that if any equipment disappears, someone will come around asking questions. For this reason even a simple barcode tracking system will greatly reduce theft. It indicates a change in the culture to one that cares about the assets. Expect to cut theft to be cut by 50% in your first year and reduced by 90% in your second year as everyone gets the picture that these assets are tracked. One challenge with returnable assets is that they can sometimes be delivered to one customer and picked up from another. A good tracking system will catch this and fix it for you. It will help you to give credit to the correct customer. Expect to find patterns of one customer taking assets from another. Fixing these issues leads to increased happiness of your customers and less stress on your team. one customer taking assets from another"
"Disputes to be cut by 75%"
More accurate asset tracking lead to fewer disputes and a better resolution of them when they do happen. A few minutes spent catching and correcting a mistake today can save a few days down the road – and even might prevent a lawsuit/settlement. Expect disputes to be cut by 75% and for the resolution of the remaining disputes to be cut in half. A good tracking system acts as a double check against orders. Expect to catch and fix mistakes on about 3-4% of all deliveries. In most industries the true cost of a delivery mistake is around $100 when you factor in your time to fix it and the reduced trust of your customers. "Catch and fix mistakes on about 3-4% of all deliveries"
"Increase rental revenue by 5% to 20%"
If you rent your assets, tracking them will catch assets that were at customers but not properly being recorded as rented. Expect to increase rental revenue by 5% to 20% with larger companies higher in this range. Replace log books and spreadsheets with a centralized, organized system for storing any kind of records related to your assets. Save time dealing with paper. Lookup data without combing through a spreadsheet or paper archive. Reduce the risk of missing data. If you are just tracking by quantity today, expect the time saved in filling out the digital forms to be washed out with the extra time it takes to scan each asset. In either case, expect to eliminate the time spent collecting, organizing, reporting or searching through old records. Having digital records will help ensure compliance with your processes. Make sure your people see the correct steps for each process. Document that the right reporting was completed. This is especially helpful for regulated companies. Some customers have been burned by asset management problems in the past and will be more likely to give business to a company with a solid asset tracking system in place. Existing customers will be accustomed to the tracking data and will be less likely to want to switch to a different vendor without such a system. Get yours sales and marketing team involved in this process. They can use this to start winning or keeping more deals. Track your assets in statuses and only allow deliveries of assets in a certain status. Ensure that every asset is properly prepared for it’s next use. Ensure each asset is properly maintained. View their maintenance records online. It’s hard to put a number on better safety, but it’s a big deal. While the benefits of an asset tracking system are numerous, there are many real-world challenges to overcome to make them work. Time for training is limited. Any system must make it as easy as possible for the user. Any complexity should happen behind the scenes. People make mistakes. Sometimes they scan the wrong asset. Sometimes they forget to scan any assets at all. A system must recover even when people make mistakes. Mobile computers lose connectivity and crash. Your system must work without a connection and be able to recover from a hardware crash. Tracking labels don’t last forever. A good tracking system must allow a single asset to have many tracking labels in it’s lifetime while still keeping the history of the asset together. Serial numbers can be duplicated across different assets. A system must handle this case. Implementing a tracking system can be a big deal. It is important that the top management of an organization be on board. Look for a vendor who will help you to really implement and system and will keep management in the loop. There’s no doubt that managing assets is a vital task for any business. Businesses that deal with moving assets need to know where they are so that a proper chain of custody can be documented. Technology has evolved to the state where asset tracking has become so simplified that even large numbers of items can be tracked relatively easily. 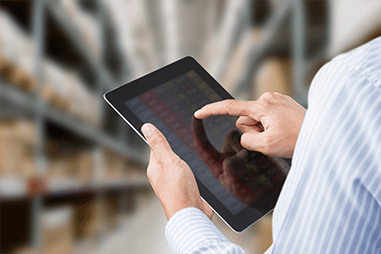 Whatever type of technology a business chooses – barcode, GPS, or RFID – they are likely to find that their tracking system will be invaluable to their operations while helping to save them money. An asset tracking system is much more efficient than manually tracking items by spreadsheet. 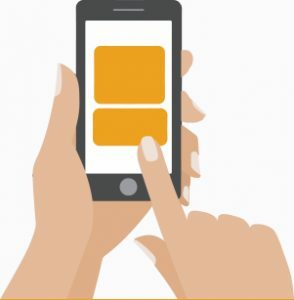 And today’s smartphones make it easy for any organization to electronically keep tabs on their assets. TrackAbout offers asset tracking solutions suitable for any business trying to manage their assets. With a choice of tracking options, a powerful database that is easy to use, support for smartphone scanning, and a cloud-based environment accessible from anywhere, TrackAbout can help your company safeguard your valuables while reducing your costs. Our industry leading asset tracking solutions are here to help.